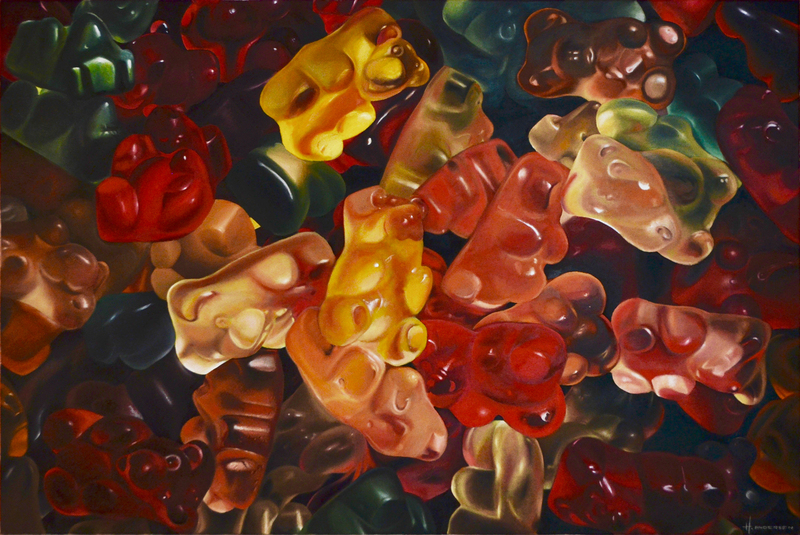 Colourful Gummi Bears in XXL-Stile. It’s the magic in ordinary things that surrounds and affects us every day. So take a look at all the details of light and colour that surrounds us. Oil on canvas on high quality “Henry XL“ Canvas.